Do you dream about owning a gorgeously designed home, one that can grow with you and your family? 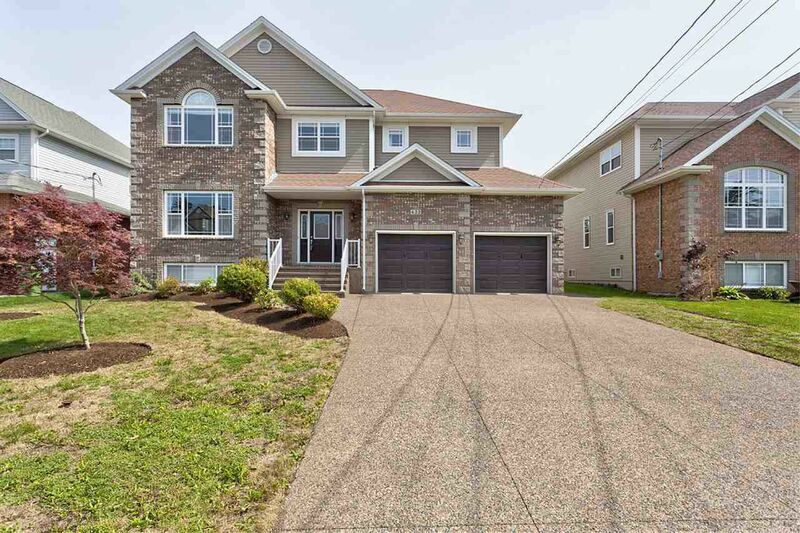 This Executive home located in prestigious Ravines Subdivision has 4 bedrooms, 4 baths, large double garage & ducted heat pump. Large foyer welcomes guests to the formal side with rich hardwood floors, custom trim and 9’ ceilings providing an elegant setting for entertaining. Spacious kitchen has cherry cabinets, granite counters, breakfast bar, built in desk & bar cabinets. Sunny breakfast nook opens onto deck for outdoor casual dining. A large family room with propane fireplace complete this open concept. Hardwood staircase leads you up to the master bedroom with tray ceilings, ensuite with whirlpool bath, separate shower. 3 additional spacious bedrooms, full bath & laundry room complete the upper level. Lower level includes a den/office, media room, games room & full bath. Oversized double garage has 2 doors & built-in cabinetry. Double driveway is aggregate. Features include: fully fenced large backyard, pad for hot tub + wiring and alarm system. Minutes to EVERYTHING!